Symfony gets real-time push capabilities thanks to the Mercure component and bundle, which provide a modern and efficient alternative to timer-based polling and to WebSocket. Un vieux lien mais qui est tr? Ça va loin ... New .phpstorm. 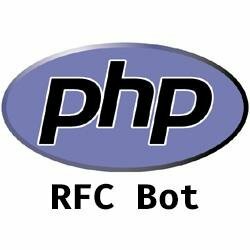 A succinct parallel concurrency API for PHP7. Contribute to krakjoe/parallel development by creating an account on GitHub. Sebastian Bergmann provides guidance on how to avoid frustration when upgrading to a new major version of PHPUnit. Videos with the founders of The PHP Consulting Company. z - jump around. Contribute to rupa/z development by creating an account on GitHub. Remember when I ditched Laravel for Golang? In Symfony 4.3, progress bars define a new iterate() method which starts, advances and finishes the progress bar automatically using an iterable variable.